Many people lack fibre in their diets. 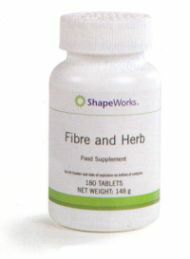 Fibre promotes digestive health, helps maintain bowel regularity and normal colonic function. It also helps to speed up the passage of food and eliminate toxins from the body. High in soluble fibre to help optimise your digestive health. Supports the body’s natural elimination of wastes and toxins. A natural appetite suppressant, controlling cravings for specific foods. 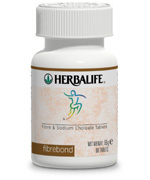 Fibrebond Fibre & Sodium Choleate Tablets - (Thermobond)"Cheaters Delight"
Have to go out for those business dinners or eat with visiting family and eat fatty foods?This scientifically advanced formula is derived from all-natural ingredients and is designed to aid safe and effective weight control. Scientific and nutritional experts recommend an increased consumption of dietary fibre and a lower intake of saturated fats and calories, to help maintain health and regulate weight. It deals with the fats we eat, not what is already on the body.